IBF light heavyweight champion Tavoris Cloud, 23-0-0, 19 KOs, knocked out a gutsy Yusaf Mack, 29-4-2, 17 KOs, in the eight round. After a first round filled with boxing from Mack, the two fighters were trading punches in the second and Cloud was winning that battle. Mack continued to box well in the third, and then Cloud started coming on with his power punches in the fourth. After three rounds of Mack moving around and boxing, Cloud caught Mack with a crushing left hand in the eight. A barrage of punches sent Mack down and he barely made it to his feet. Mack was slumped against the ropes, unable to walk forward to the referee and the fight was stopped. 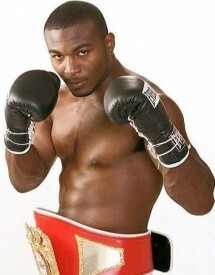 Cornelius Bundrage retained his IBF junior middleweight belt with a unanimous decision over 12 rounds against southpaw Sechew Powell, 32-years old. There were no knockdowns, Bundrage was simply too quick with hand and foot to avenge his previous first round loss. "K9" Bundrage, 38-years old, improved to 31-4-0-1 NC, 18 KOs, when he won by 119-109 (Shafeeq Rashada), 117-111 (Joseph Pasquale) and 115-113 (Patricia Morse Jarman). Powell slid to 26-3-0, 15 KOs. Devon Alexander beat Lucas Matthysse by a close decision last night at the Family Arena in Missouri, United States. The bout started fast with both guys looking for openings but neither scoring with any eye catching shots. In the second, Matthysse caught Alexander with a right hook and a left but missed with another big right. A straight right and a left forced Alexander on the back foot and the former WBC and IBF light-welterweight champion found himself on the ropes caught with hooks. Youth and power prevailed over age and experience when hard-punching heavyweight up-and-comer Bermane Stiverne stopped Ray Austin in the 10th round of a scheduled 12-round bout. Stiverne, 21-1-1, 20 Kos, was out-worked and out-jabbed by Austin through nine rounds, although he rocked the 41-year-old veteran with a hook at the end of the second and a right in the seventh. However, the 31-year-old Haiti native continued to stalk Austin, 28-6-4, 18 Kos, until he downed the 6-foot-6 giant with a right hand to the temple 30 seconds into the 10th round. Austin got up, game to continue, but on wobbly legs. the fight was stopped 43 seconds into the round. Austin led on two scorecards at the time of the stoppage. The third card was even.